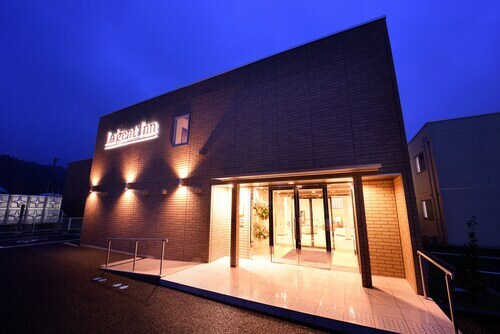 Situated in Ofunato, this hotel is 0.1 mi (0.1 km) from Goishi Coast and within 9 miles (15 km) of Kesen Daiku Sakan Folklore Museum and Jyagasaki. Goishi Kaigan Beach and Fumonji Temple are also within 9 miles (15 km). 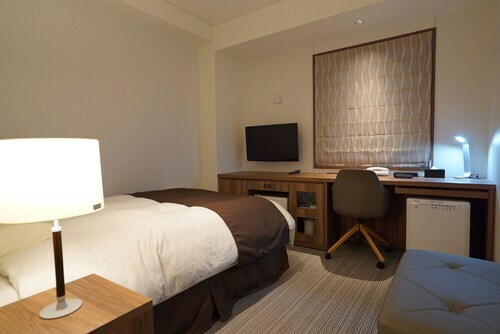 Situated in the historical district, this ryokan is within 6 miles (10 km) of Mt. Hikami, Fumonji Temple and Miracle Lone Pine Tree. Kesen Daiku Sakan Folklore Museum and Jyagasaki are also within 12 miles (20 km). Situated in Ofunato, this ryokan is 2.4 mi (3.9 km) from Goishi Coast and within 6 miles (10 km) of Kesen Daiku Sakan Folklore Museum and Jyagasaki. Goishi Kaigan Beach and Fumonji Temple are also within 9 miles (15 km). 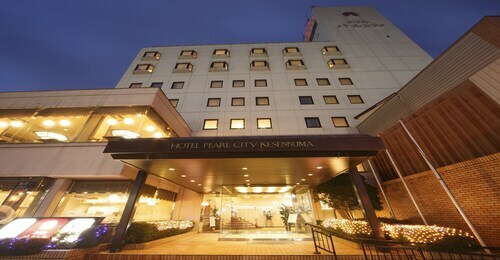 Situated in Rikuzentakata, this hotel is within 6 miles (10 km) of Miracle Lone Pine Tree, Fumonji Temple and Mt. Hikami. Kesen Daiku Sakan Folklore Museum and Jyagasaki are also within 12 miles (20 km). 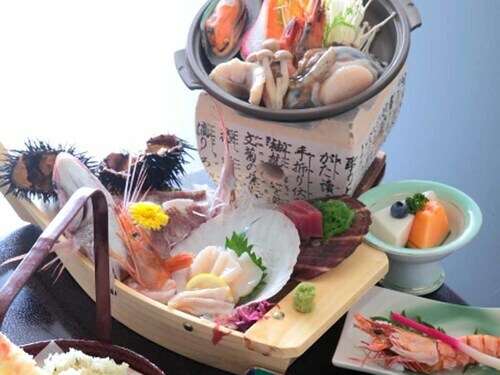 Situated by the ocean, this ryokan is 0.3 mi (0.5 km) from Goishi Kaigan Beach and within 6 miles (10 km) of Jyagasaki and Kesen Daiku Sakan Folklore Museum. Fumonji Temple and Kurosaki Senkyo Hot Spring are also within 9 miles (15 km). 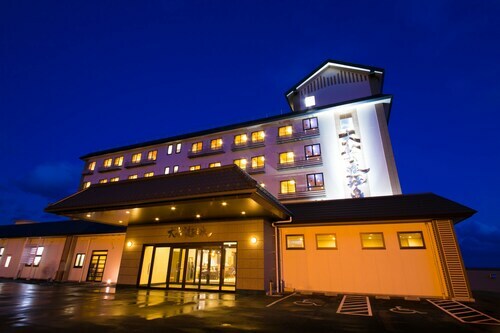 Situated in Kesennuma, this hotel is 0.1 mi (0.1 km) from Rias Ark Museum of Art and 1.6 mi (2.6 km) from Kesen Numa Rias Shark Museum. Rias Ark Museum of Art and Kesennuma Port are also within 6 miles (10 km). 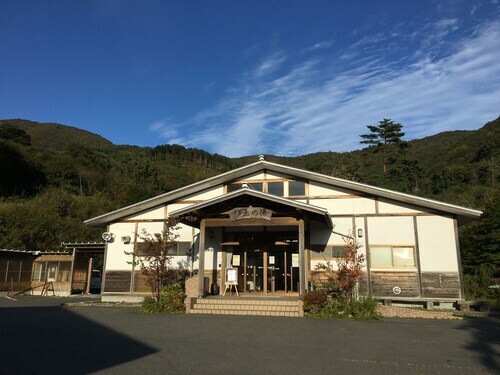 Situated in Kesennuma, this hotel is 0.1 mi (0.1 km) from Rias Ark Museum of Art and 2.4 mi (3.8 km) from Kesen Numa Rias Shark Museum. Rias Ark Museum of Art and Kesennuma Port are also within 6 miles (10 km).